Who's in the spotlight today? That'd be Lyn Croft, author of Blood & Lilies! Looking for something a little more supernatural in your reading list? Check out this book. The Key to the gate walks the earth in the form of a woman...young, innocent and completely unaware of her importance in the battle between good and evil. Once her blood is shed, Zillah can open the portal to release her father...Lucifer himself. Cara, a college sophomore, is quickly thrown into the world of the supernatural, as well as learning of her true ancestry. Vampires, werewolves and the Nephilim are now a part of her reality. As the beings struggle to protect her, she fights to keep her sanity as her mortal realm is crushed. Lyn was kind enough to agree to an interview as well! Please enjoy her answers below, and don't forget to add Blood & Lilies to your reading list! * Buffy the Vampire Slayer is a television show that I can't get enough of. 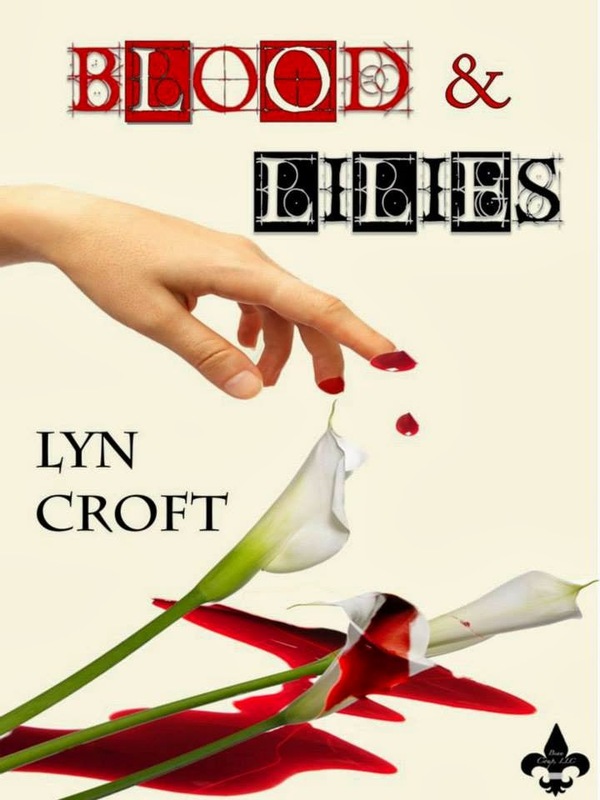 2) What was your inspiration for Blood and Lilies? I’ve always been intrigued with mythology of angels and demons, and have a deep love for vampires. I wanted to explore this world and give my take on their origins. I do write fantasy as well, and love the genre. There’s a freedom that comes with it, by being able to create your monsters. There is also a challenge of being able to make it believable to the readers as well. I get to create worlds that don’t exist in our reality, and think it’s a wonderful escape. 4) What was your favorite part about the writing process? Watching the story come to life on the pages. It’s remarkable to watch it happen. 5) What would you say to readers who are looking at picking up a copy of Blood and Lilies? Clear your calendar and get ready for a page turning adventure! Lyn Croft is a sci-fi fantasy writer born and raised in sunny Southern California. There, she raises her daughter, works full time, writes novels, and plays video games in her spare time. Her new book, "Blood & Lilies ~ Bloodlines" is her debut novel, and the first in a series of epic tales for the battle between good and evil.